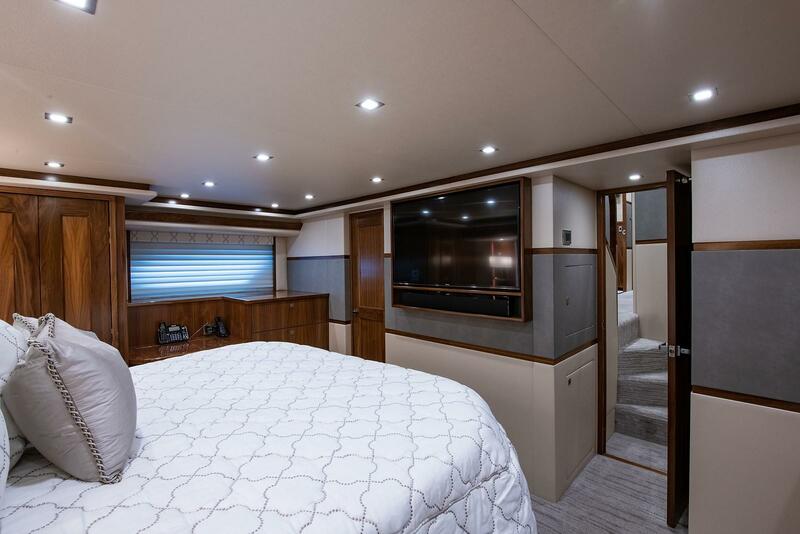 2018 Viking 80' Convertible "Gray Ghost"
An iconic blend of brawn and elegance, the 80 VIKING CONVERTIBLE is the world leader in all other VIKING ENCLOSED BRIDGE CONVERTIBLES. 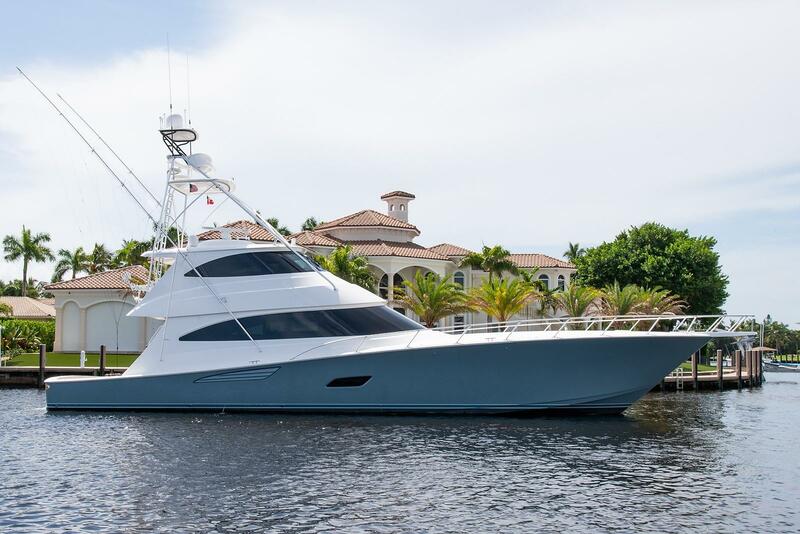 The GRAY GHOST had zero expenses spared in her build and attention to detail by an extremely knowledgeable captain and crew. 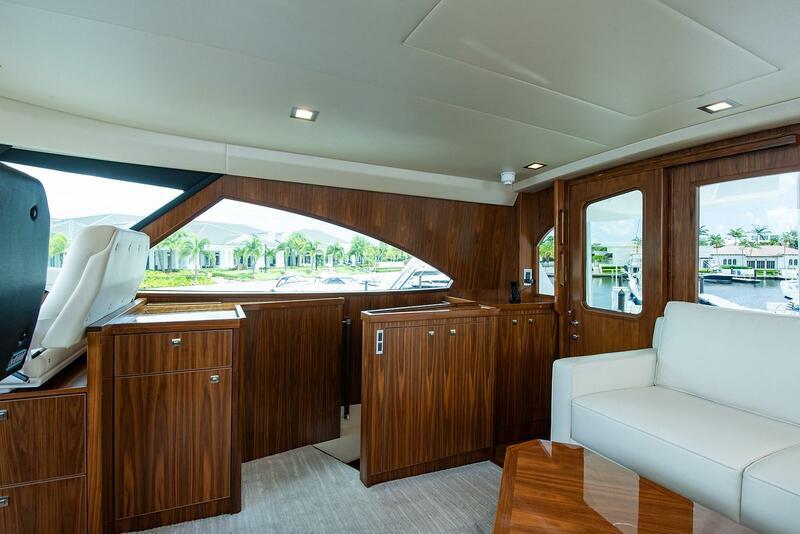 This 80 VIKING CONVERTIBLE is exceptional in every way. 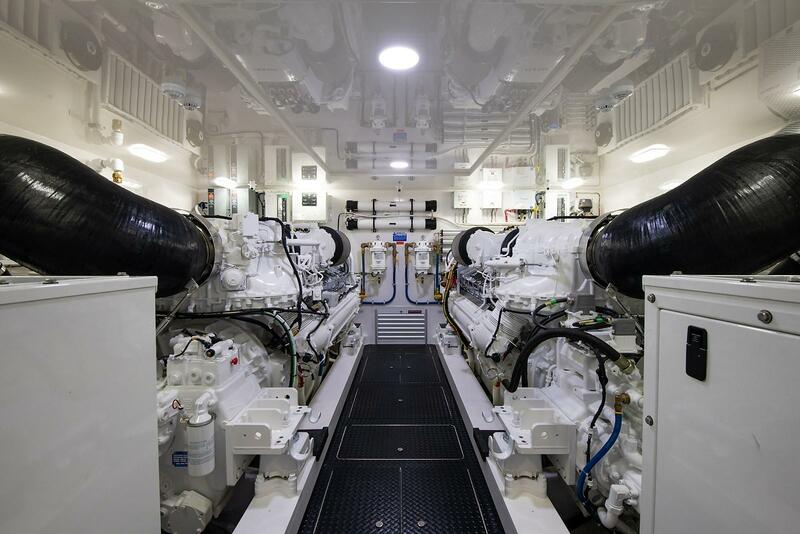 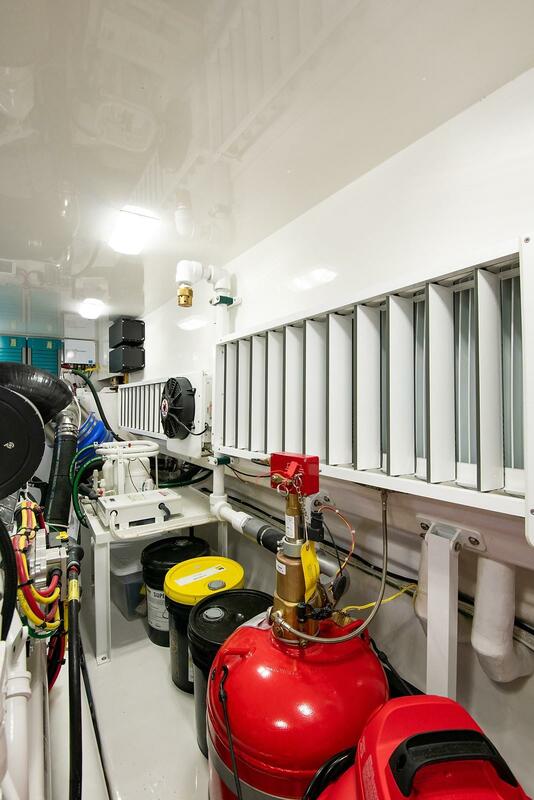 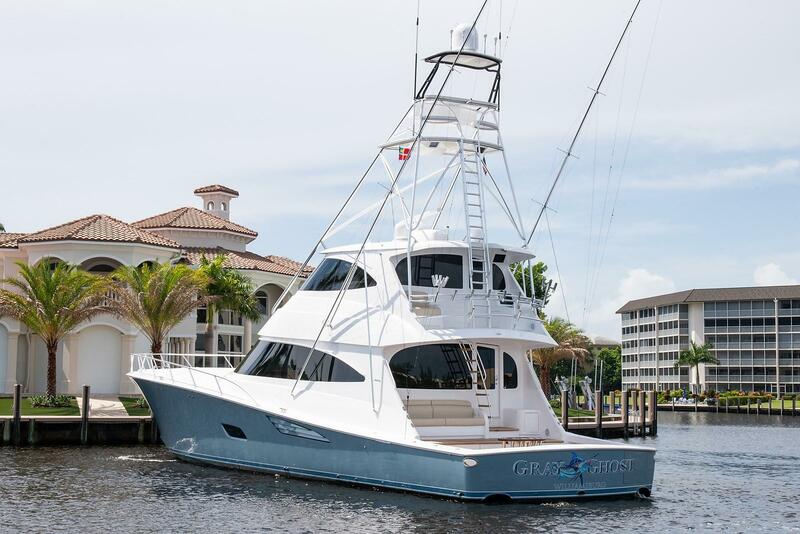 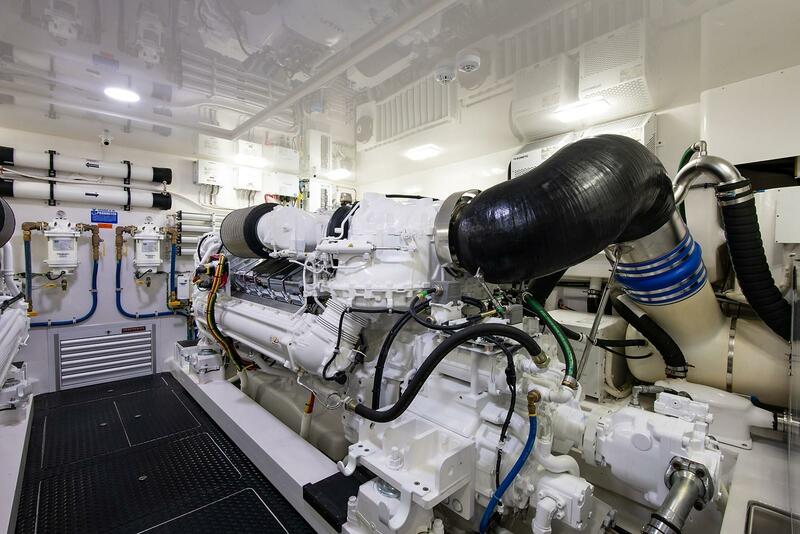 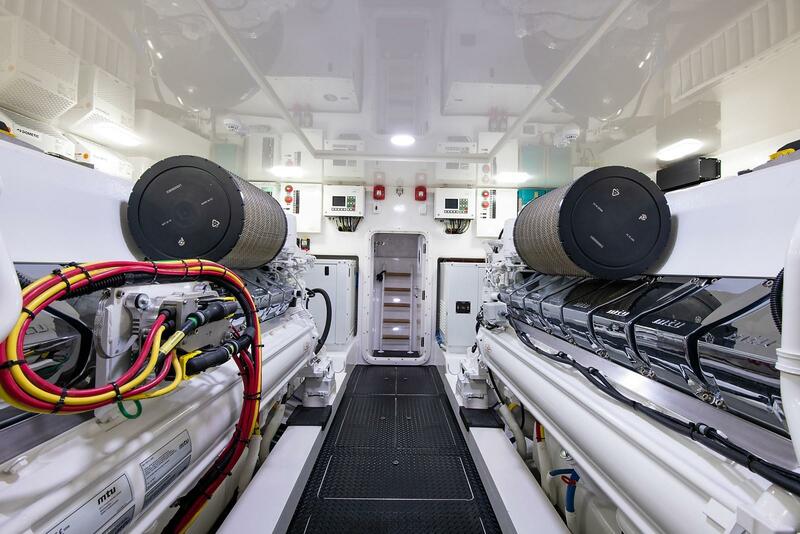 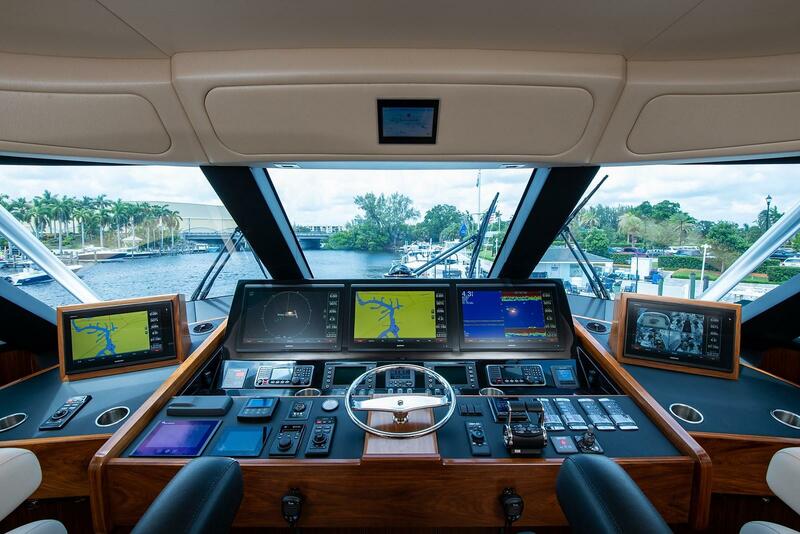 She is one of the first 80' VIKINGS built with 35 kW generators and Seakeeper 35 gyro. 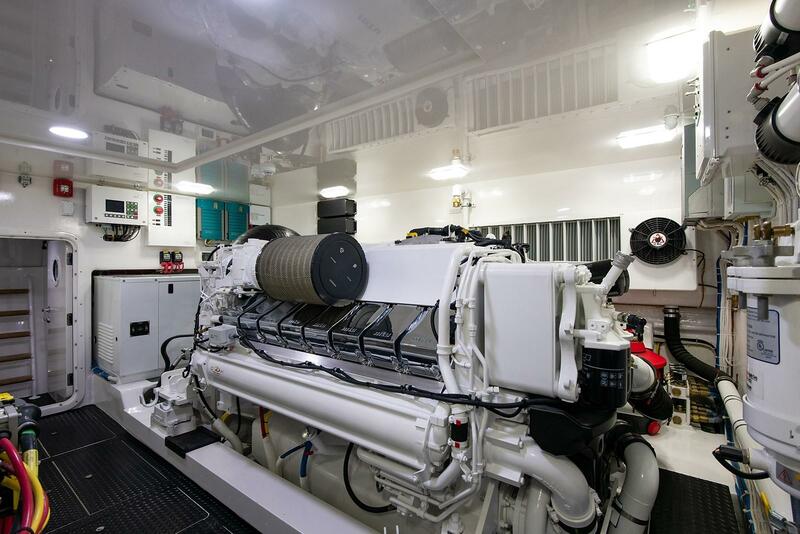 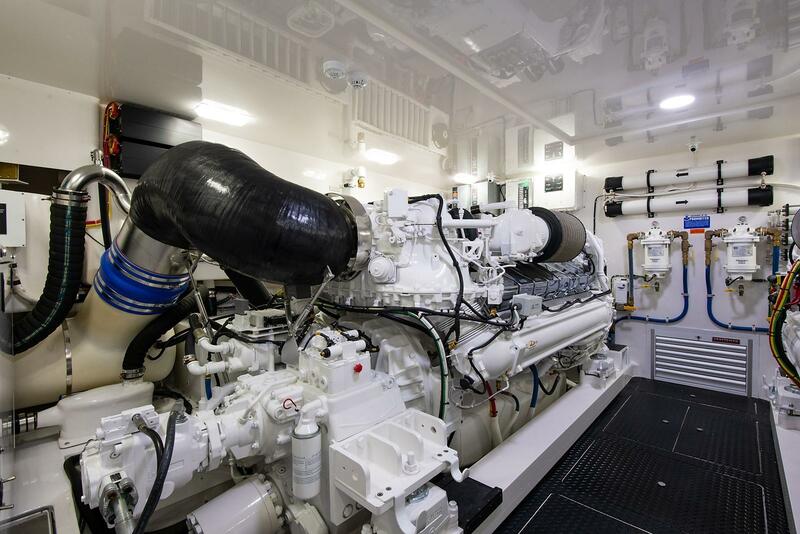 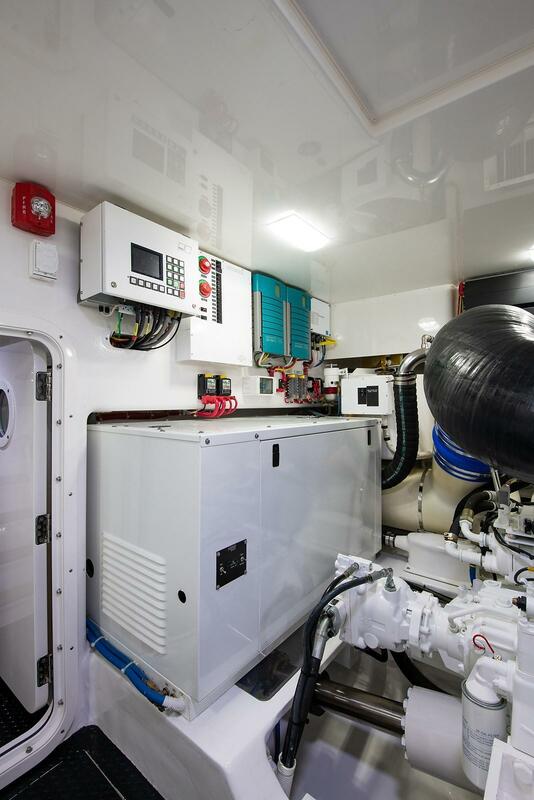 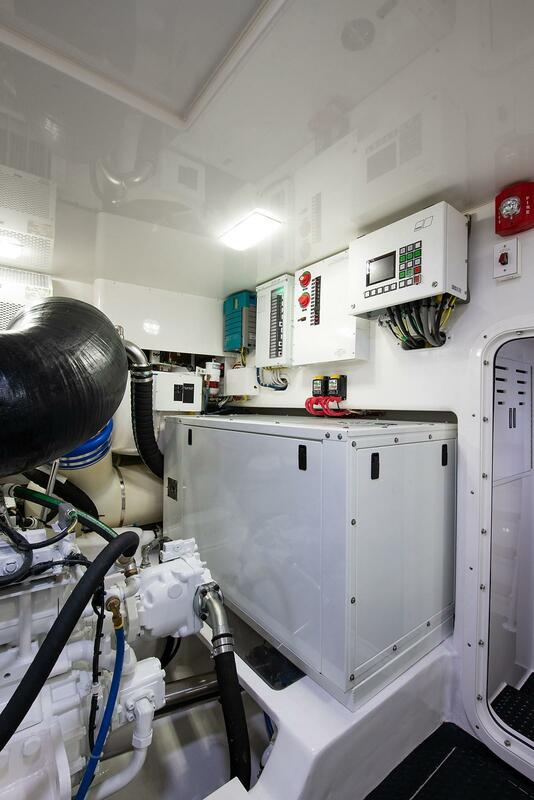 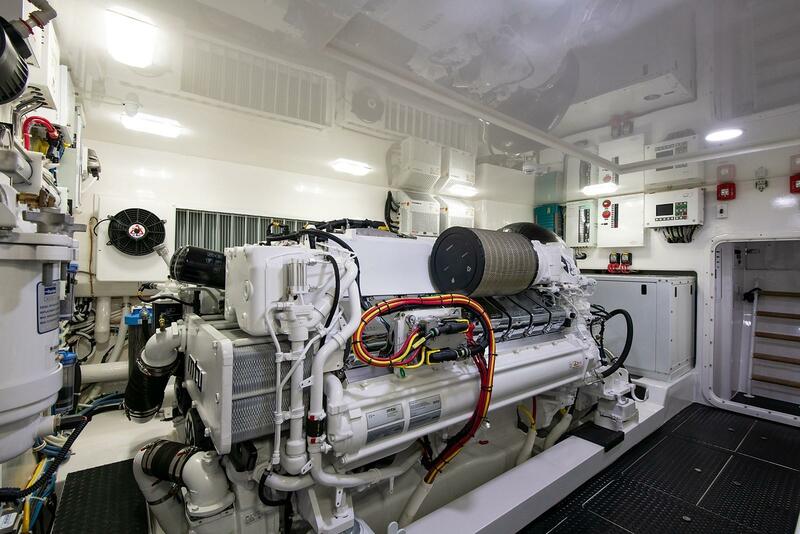 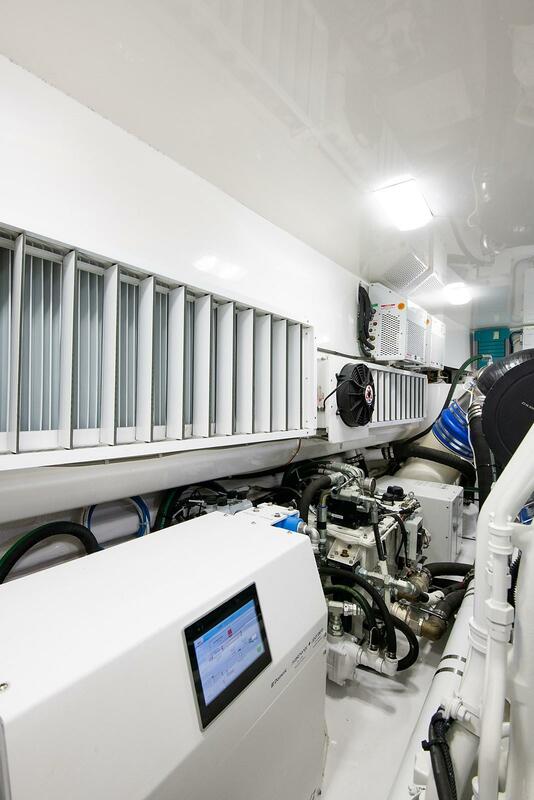 She is powered by the new MTU blue vision smoke free MTU V16 M96Ls allowing her to respond in the class of most 60' vessels. 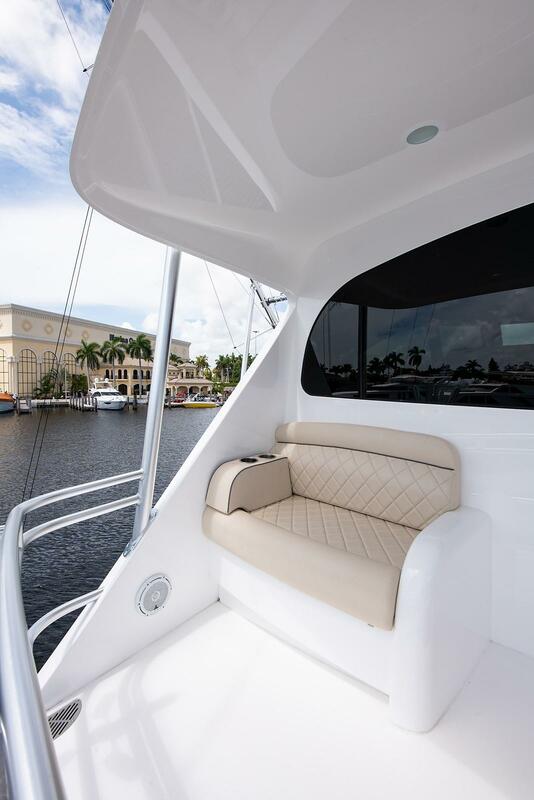 Enjoy exterior A/C comforts in nearly every seating area for long hot days on the troll. 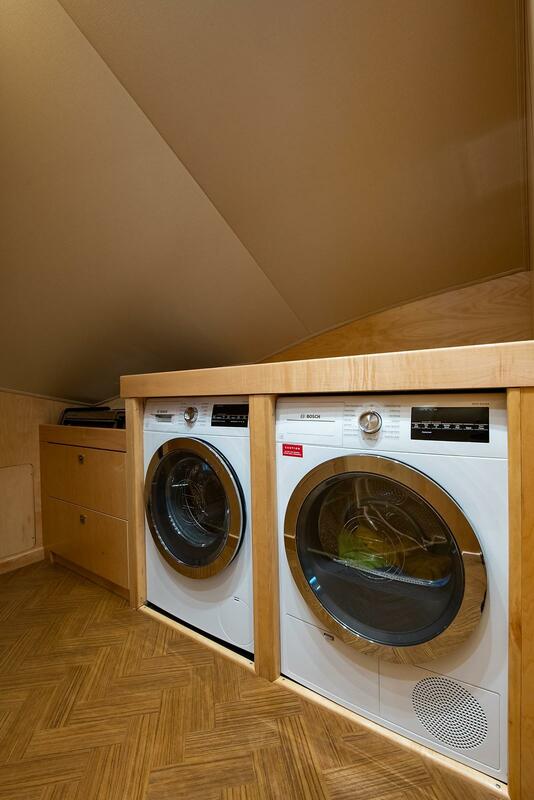 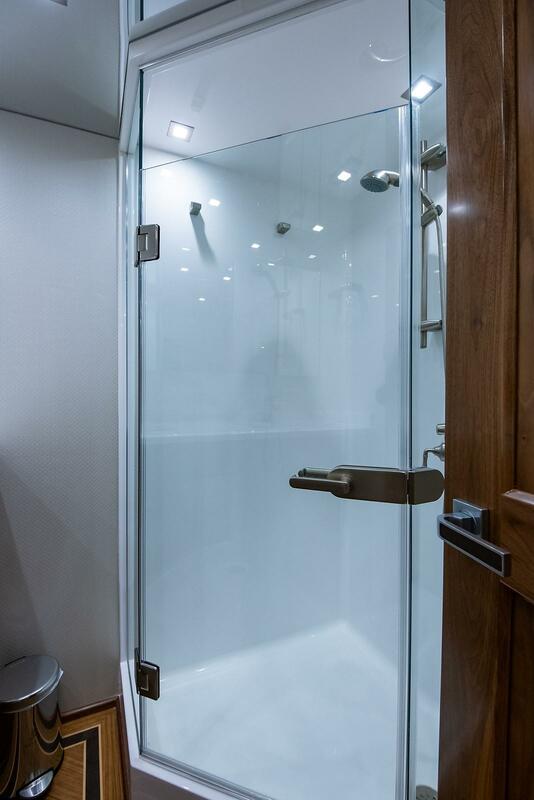 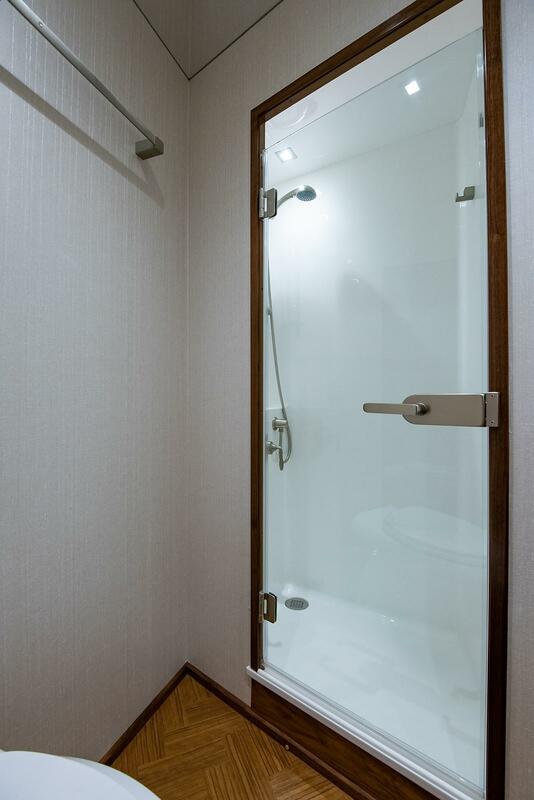 Custom storage has been utilized to create optimal storage. 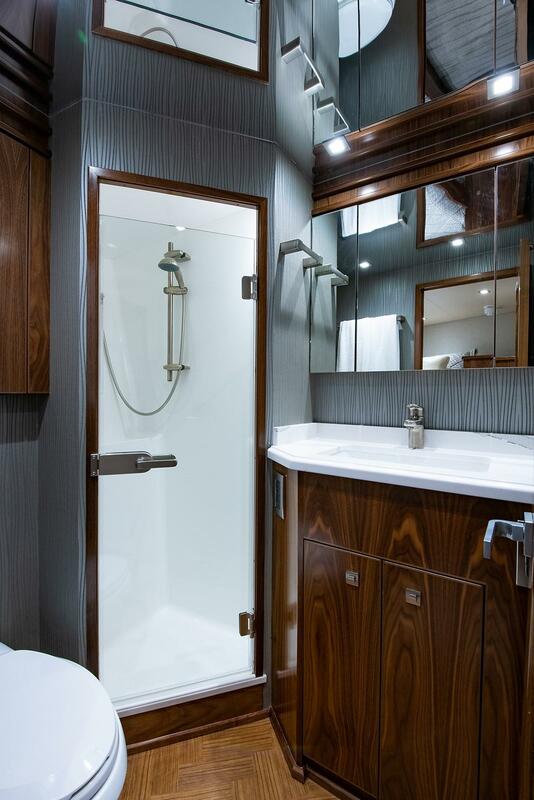 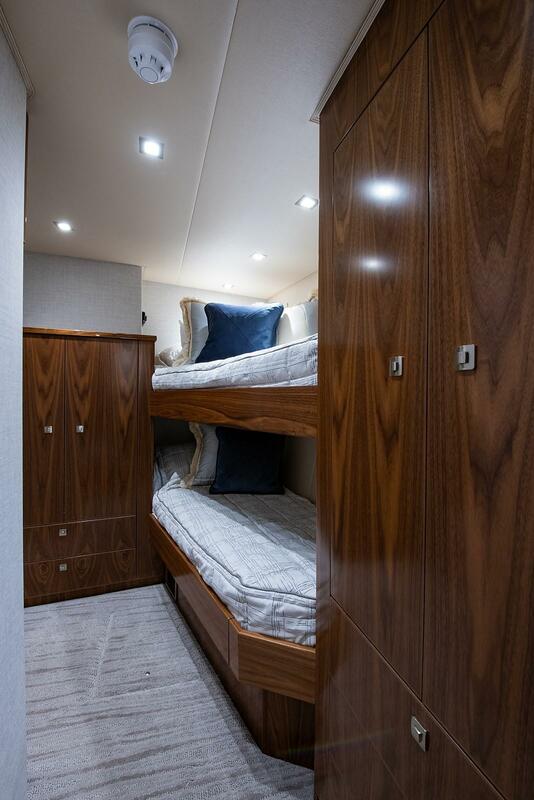 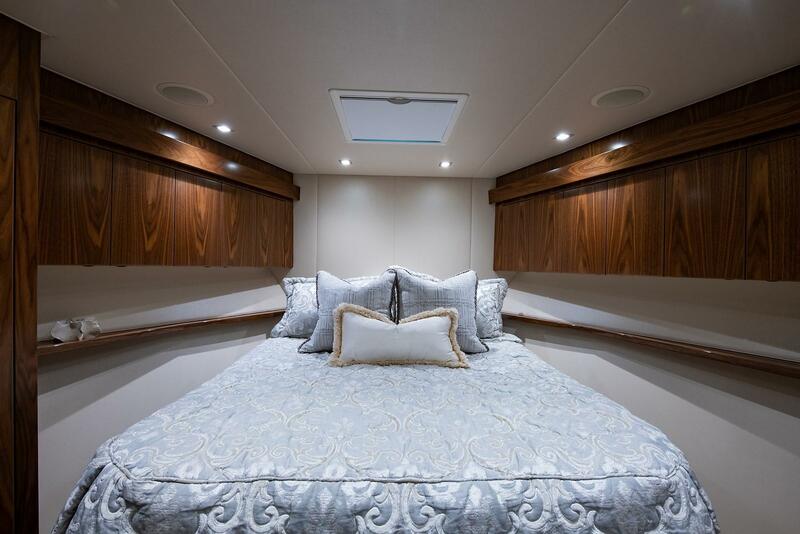 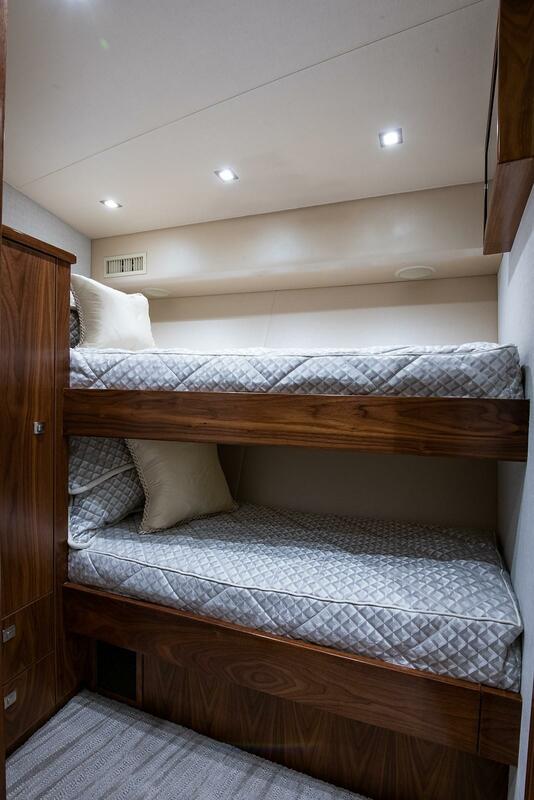 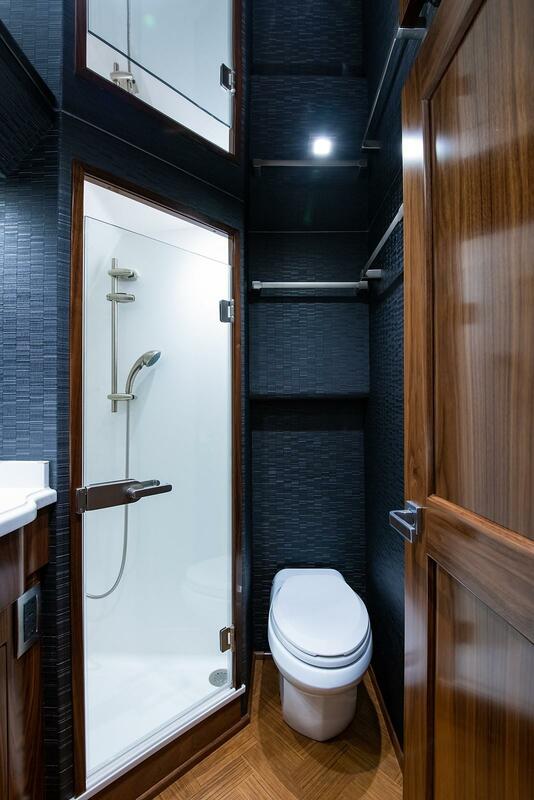 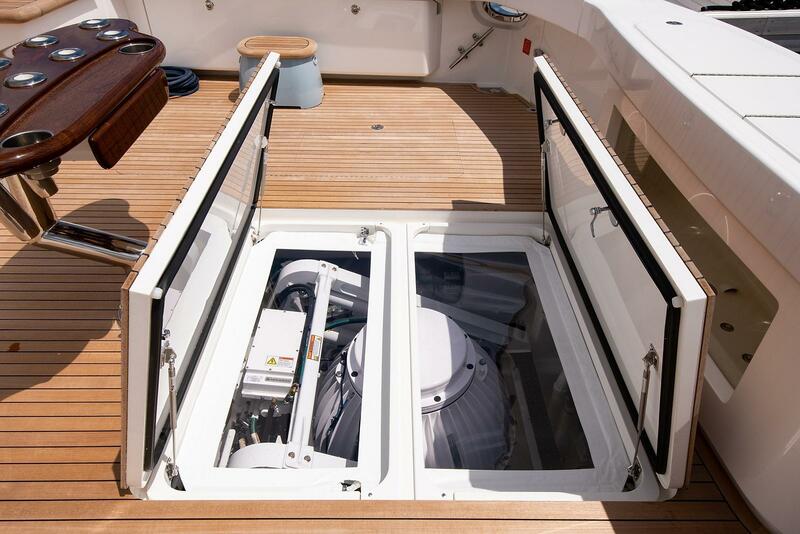 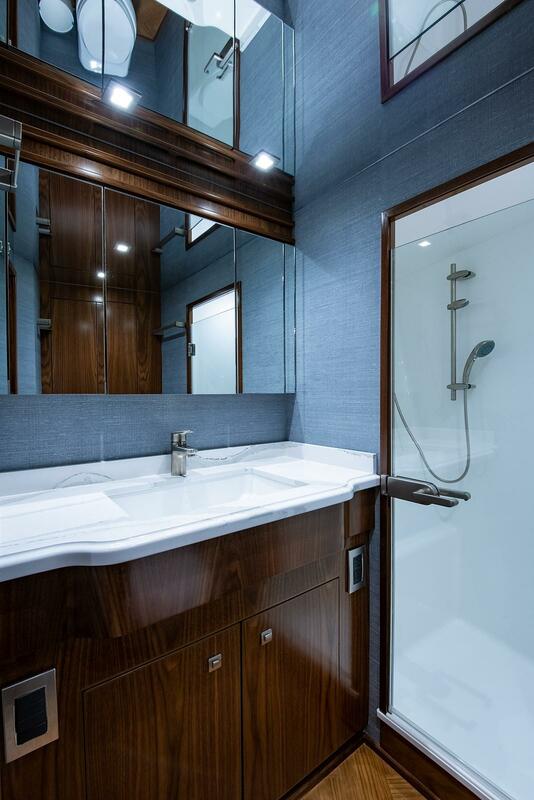 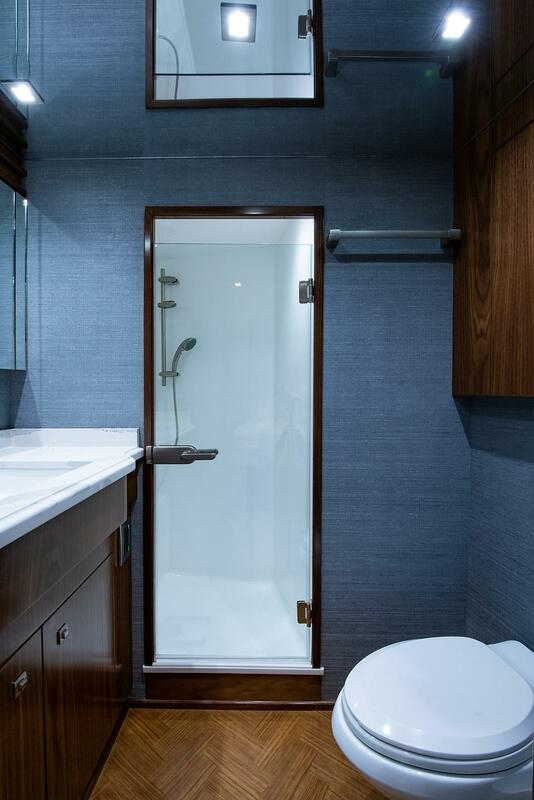 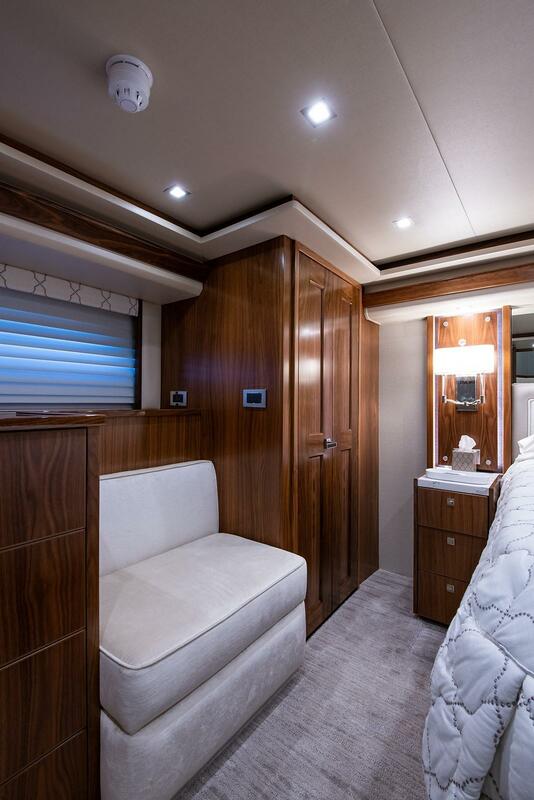 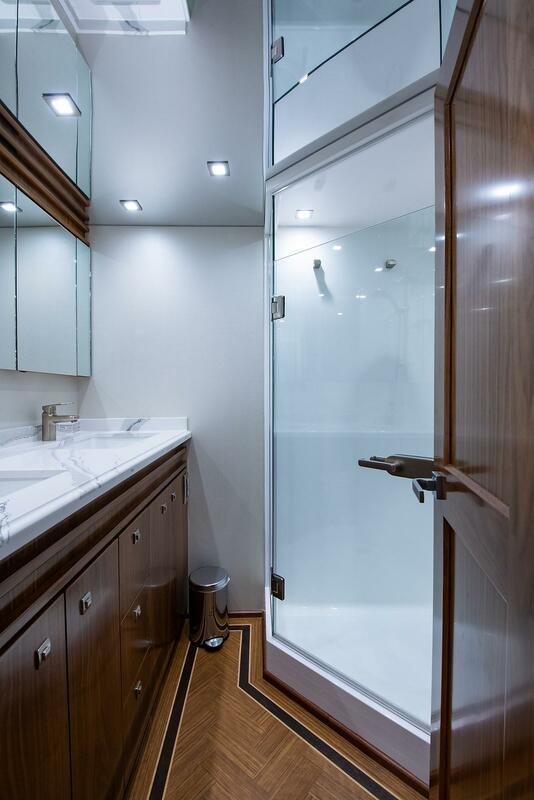 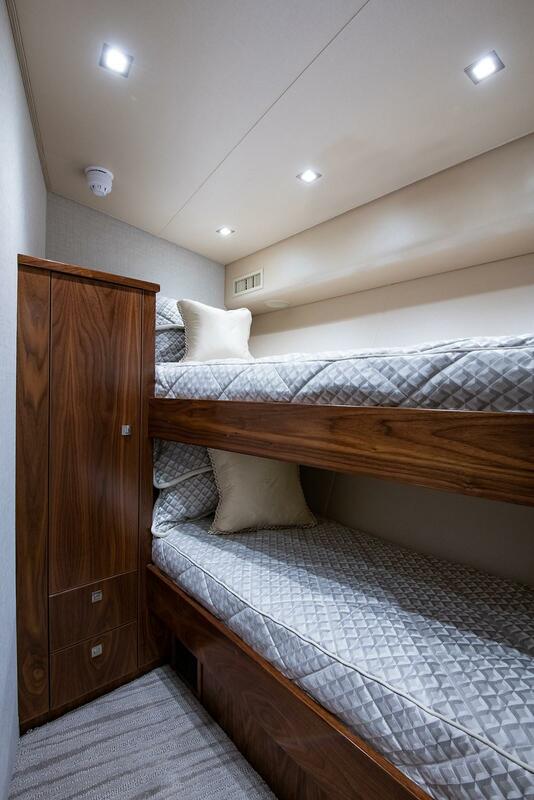 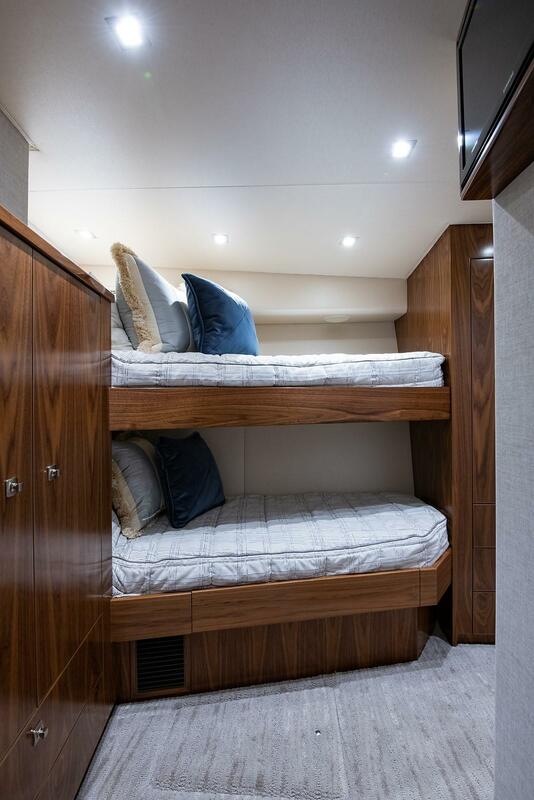 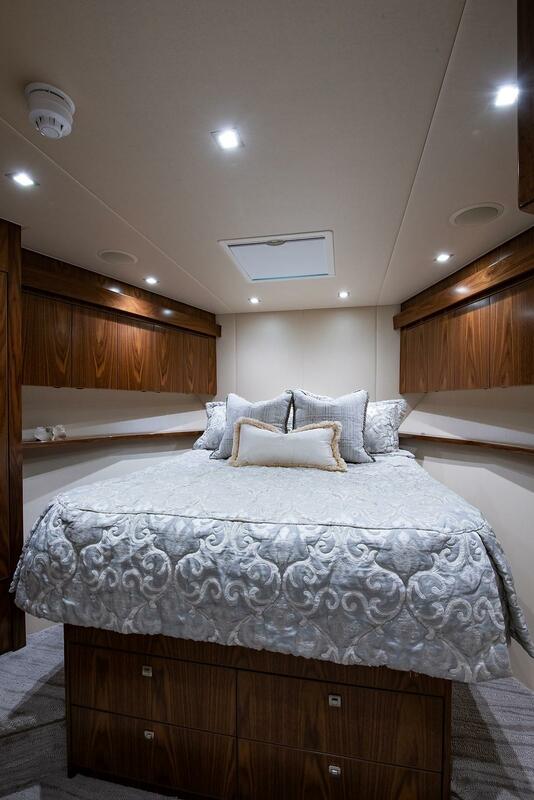 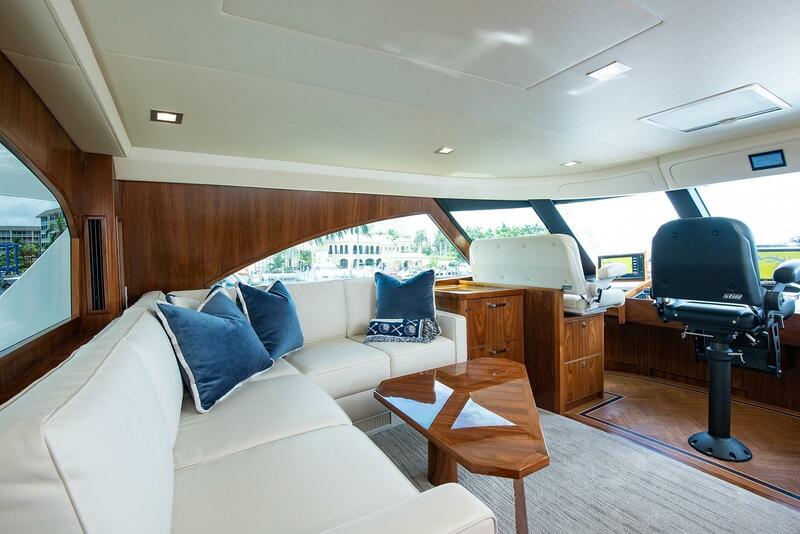 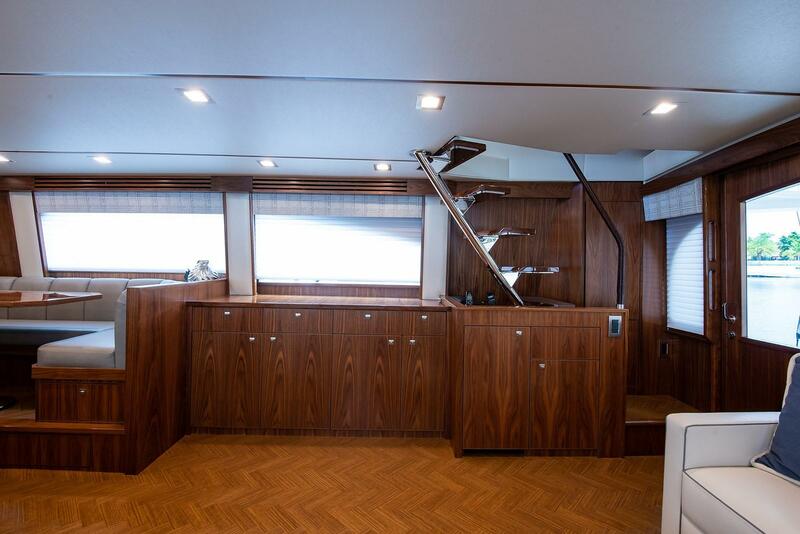 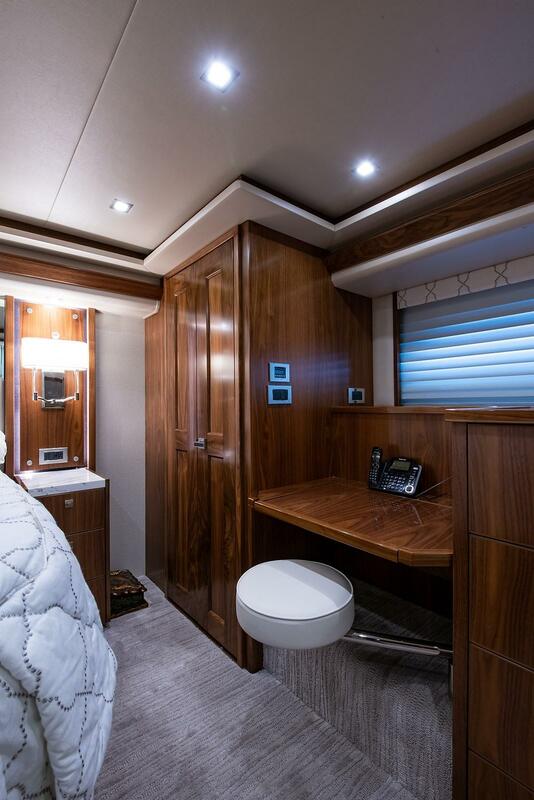 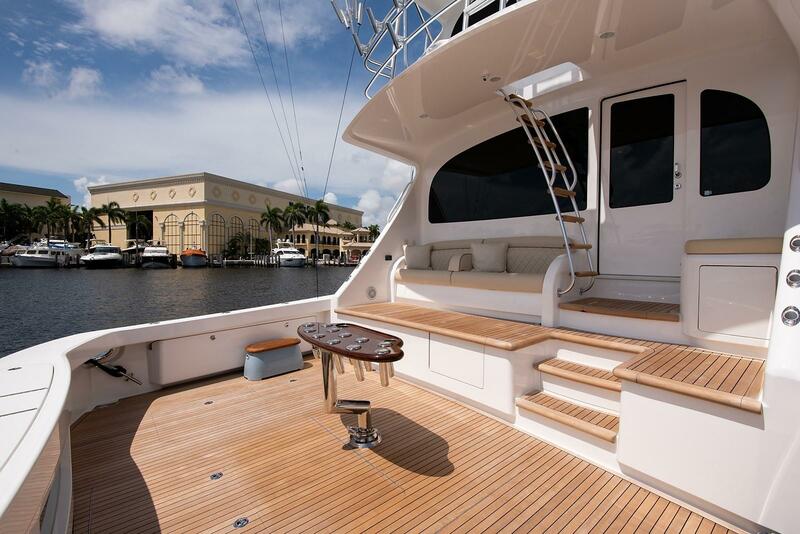 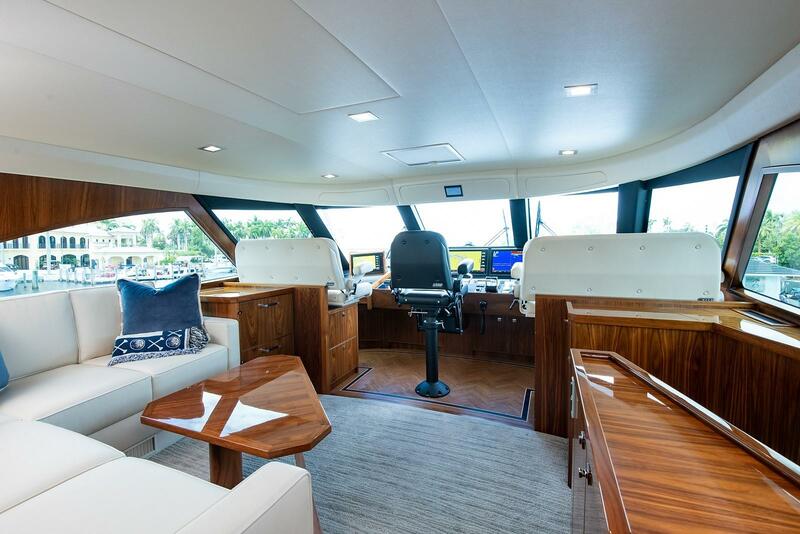 Interior custom walnut accents including the companionway carry the same theme on the inside. 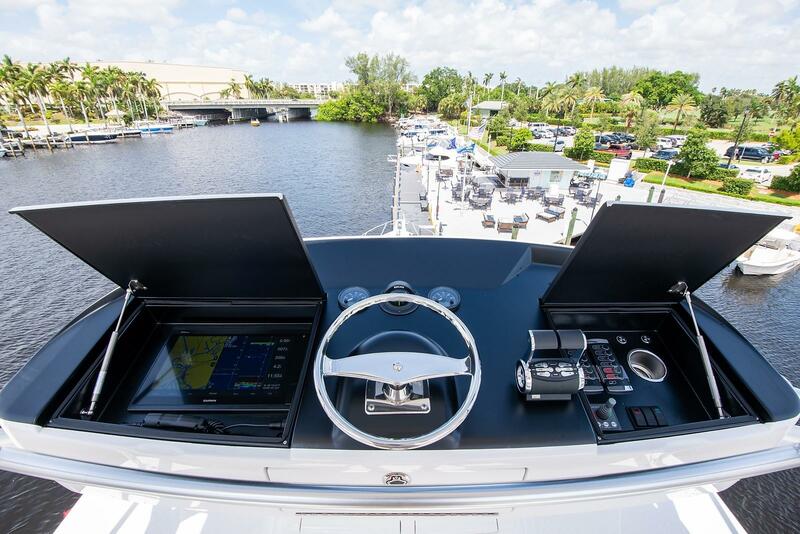 A highly professional crew keeps this 80 VIKING CONVERTIBLE in impeccable condition and show ready at all times. 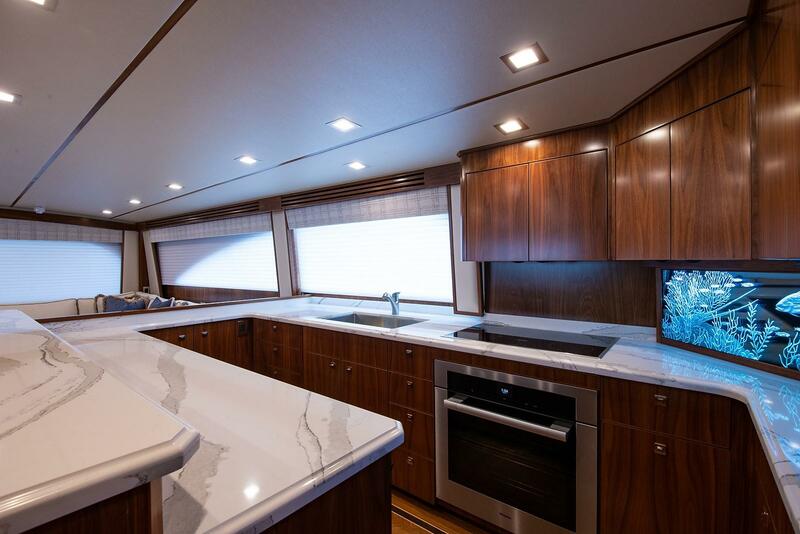 Avoid the long wait and rigorously involved management of a complex build schedule; don't miss this opportunity to own a true gem of VIKING's finest. 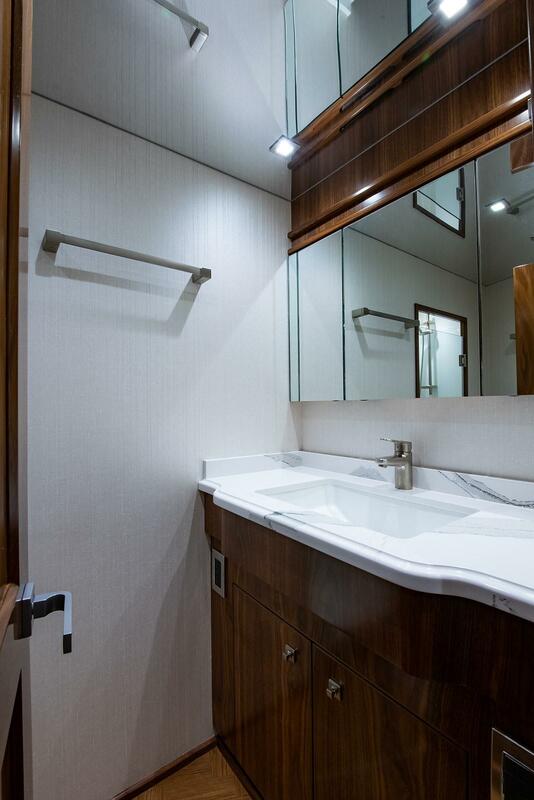 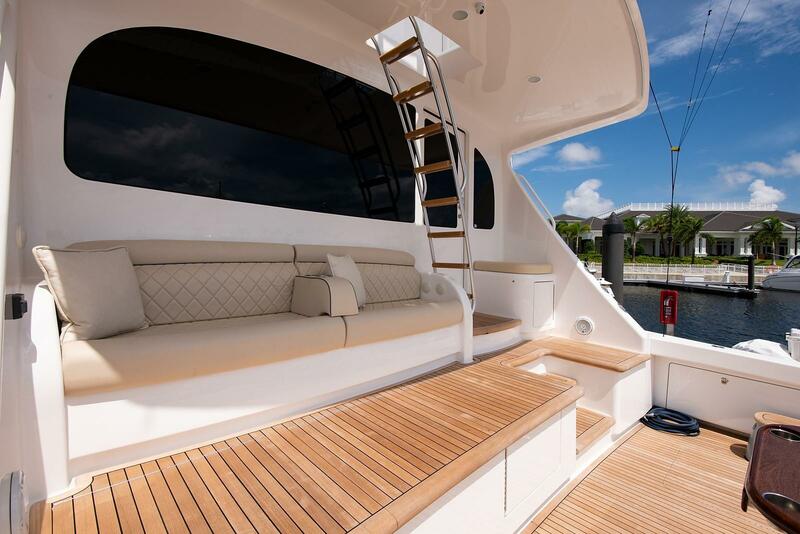 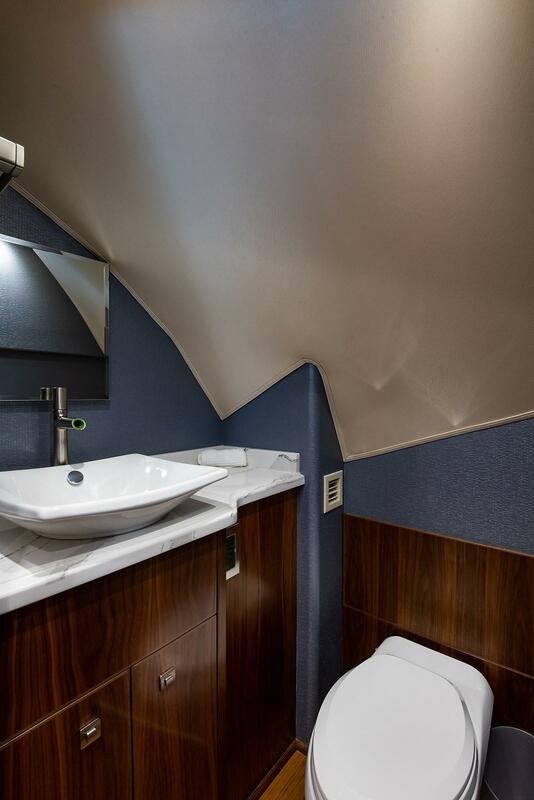 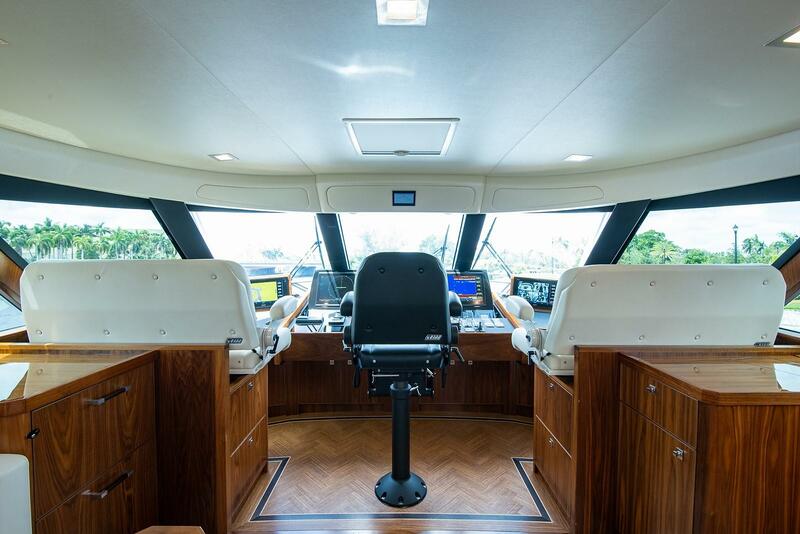 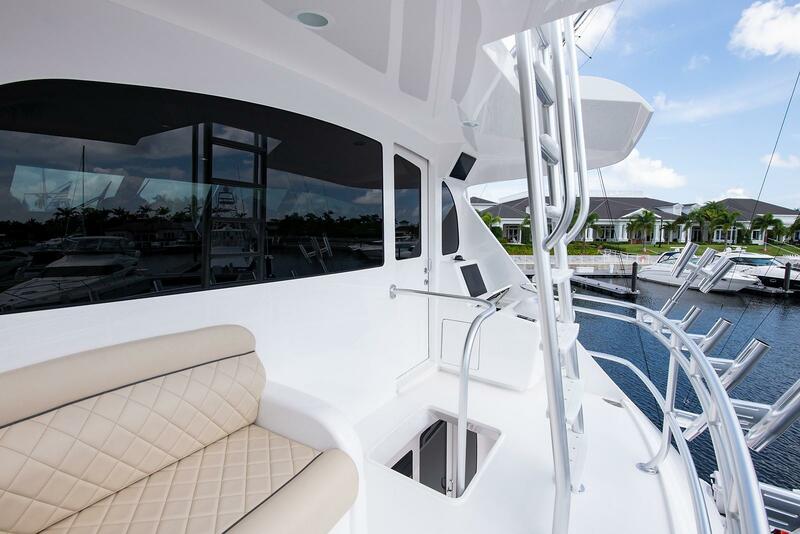 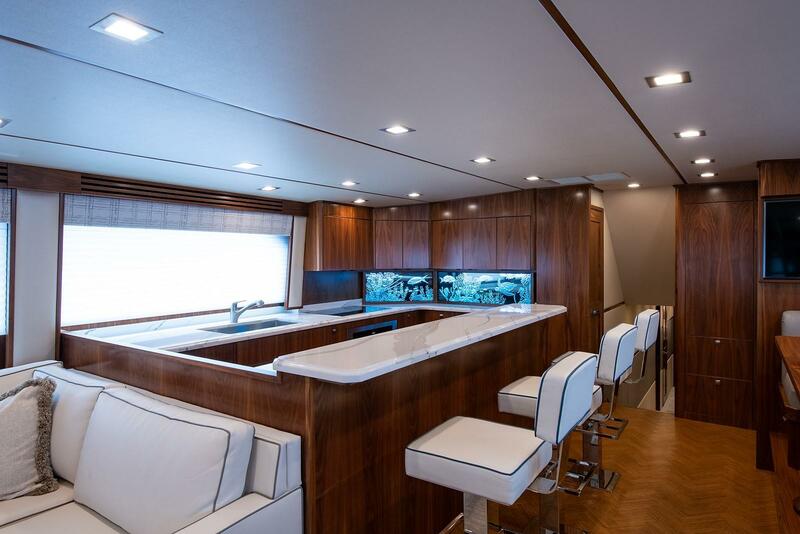 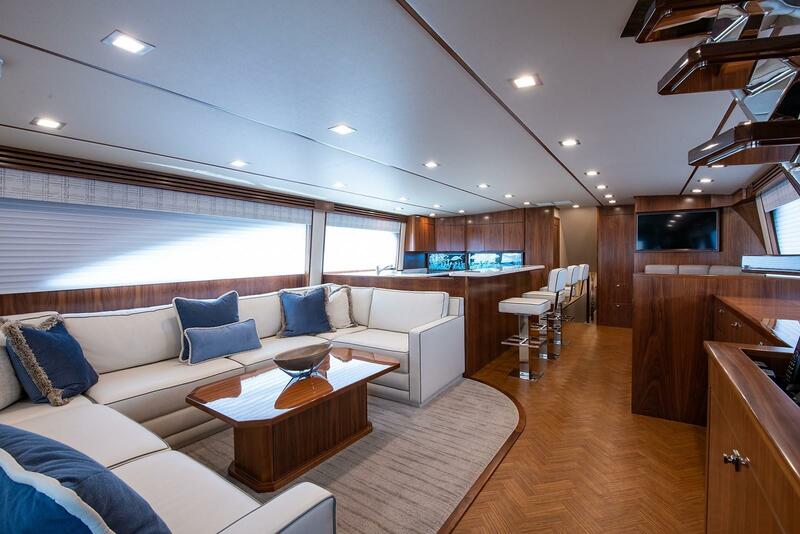 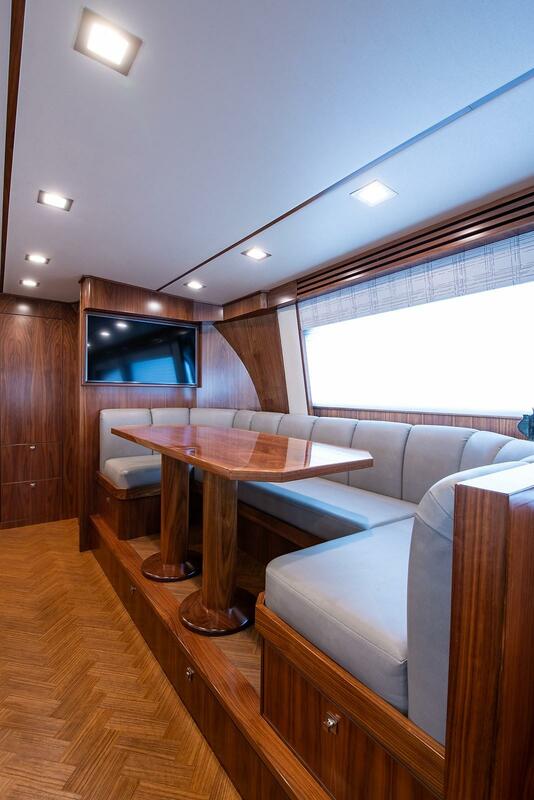 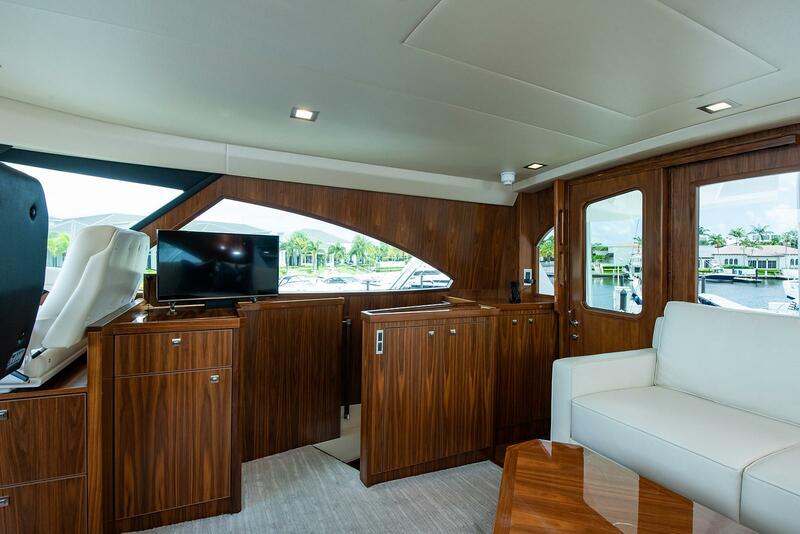 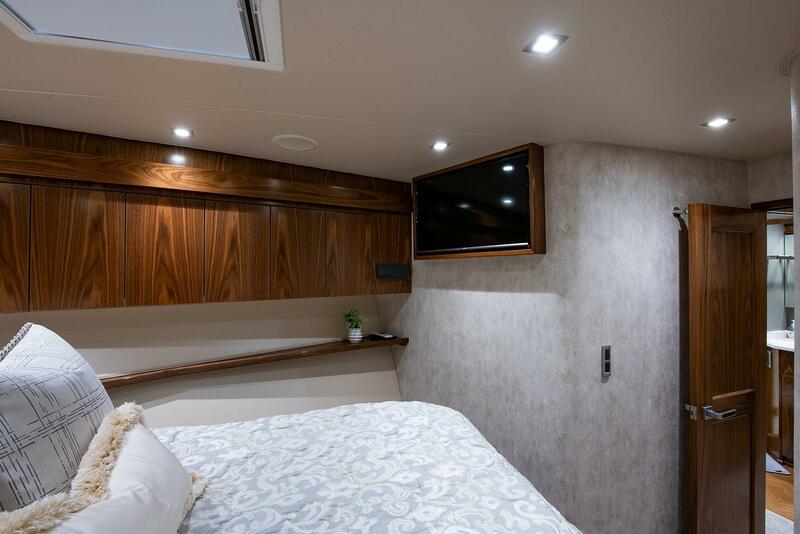 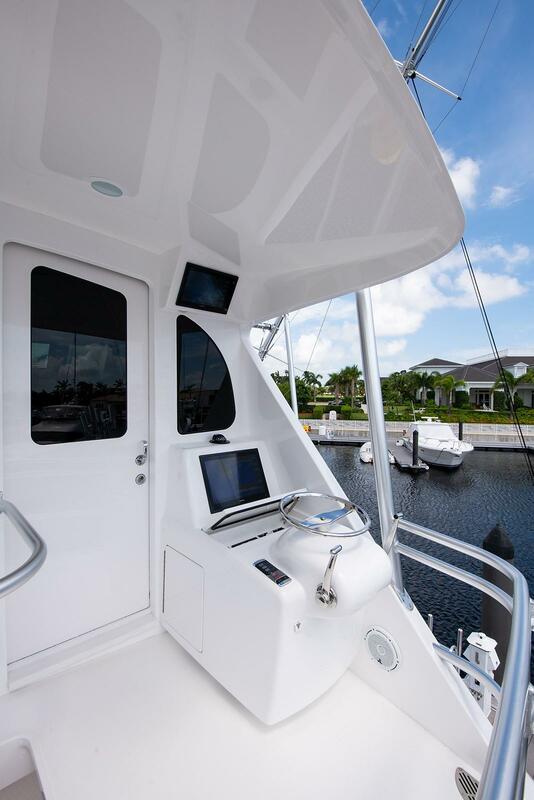 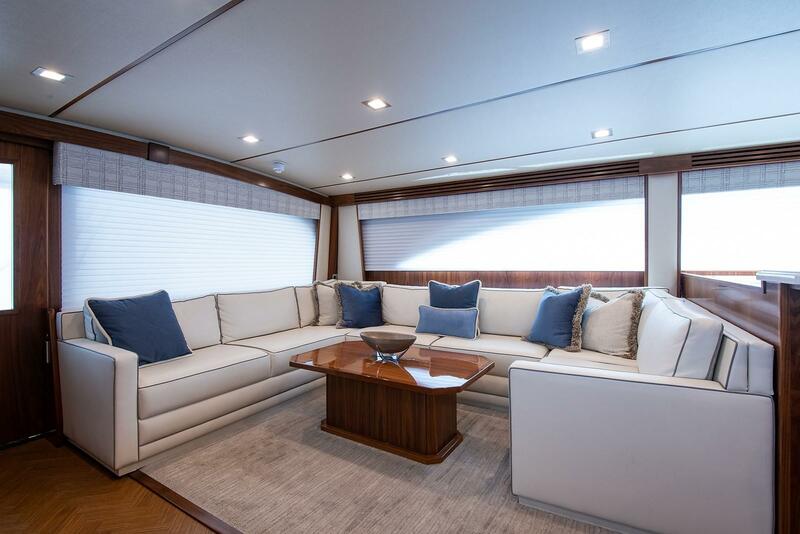 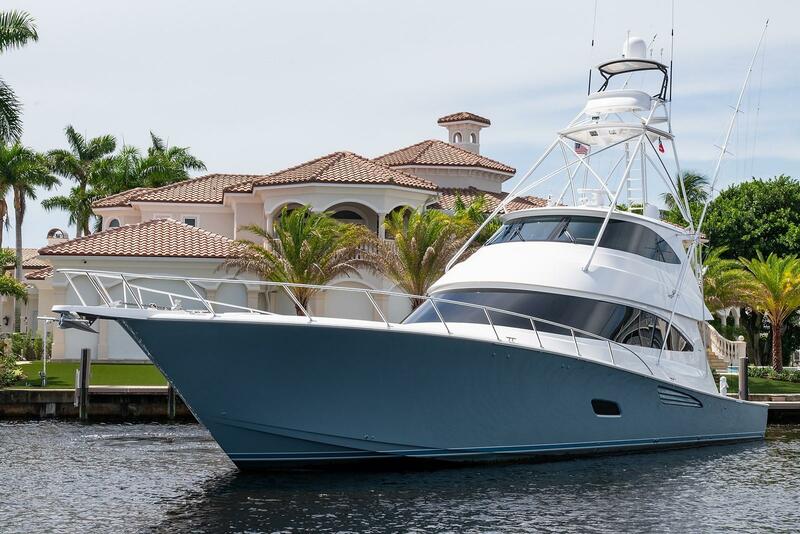 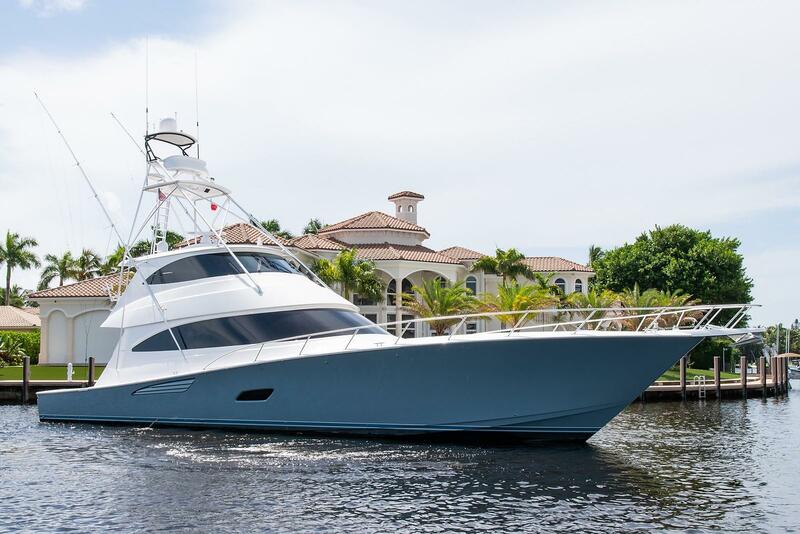 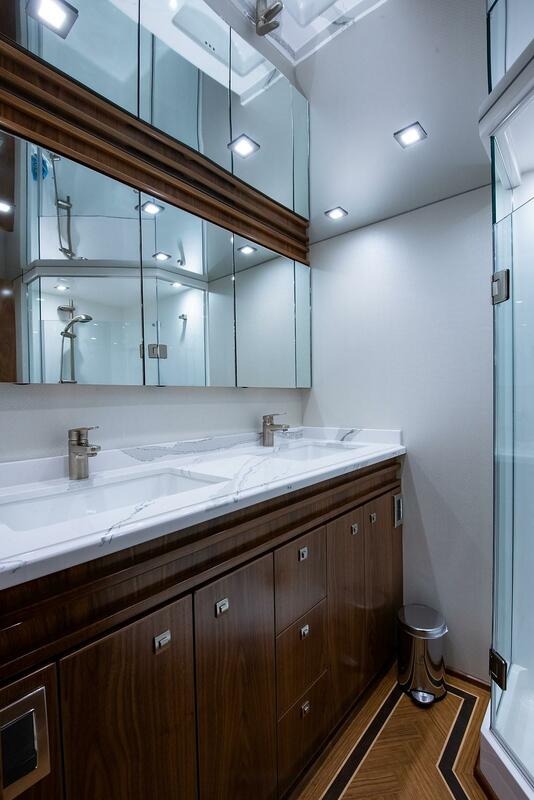 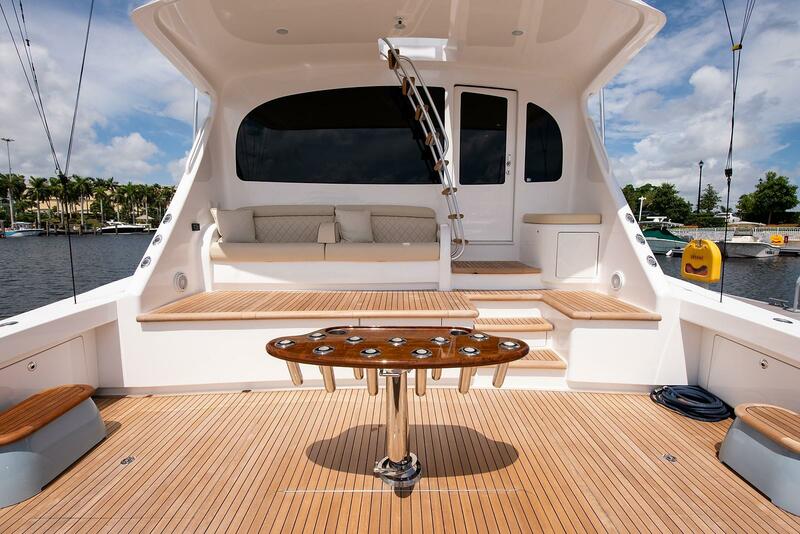 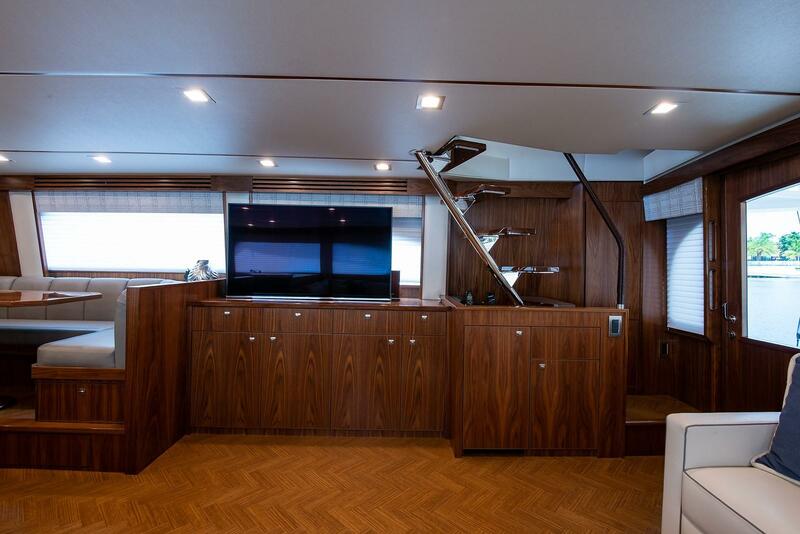 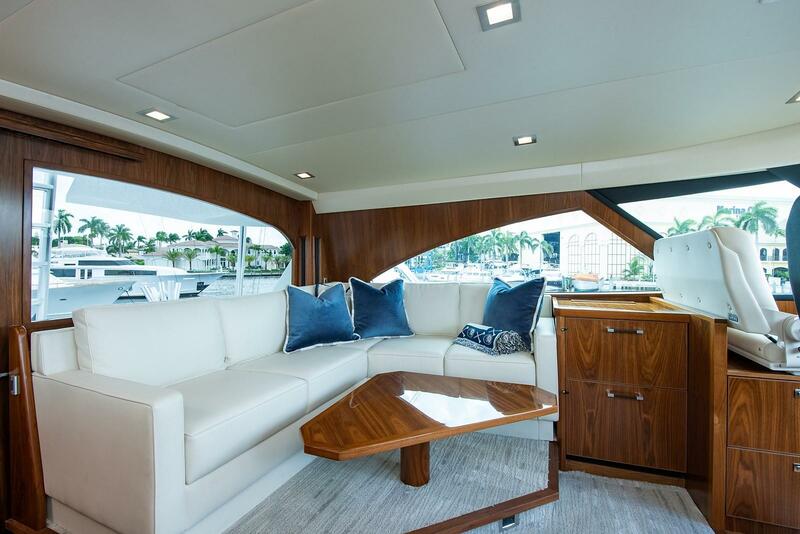 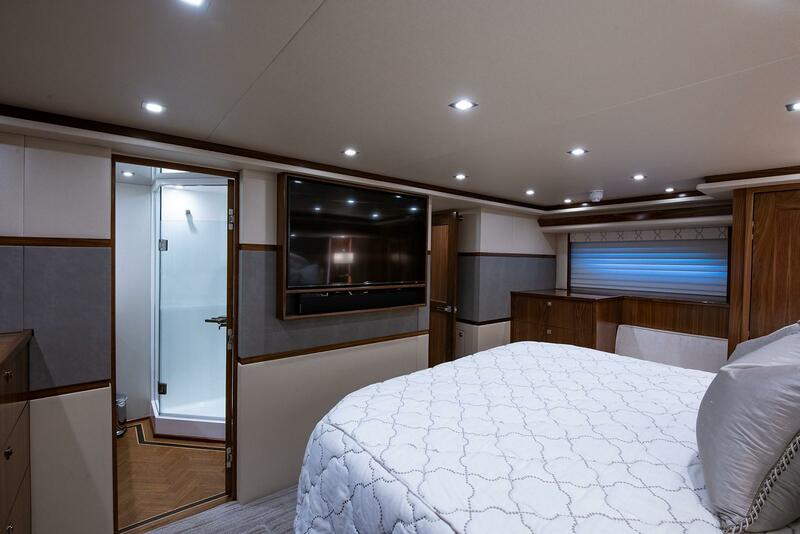 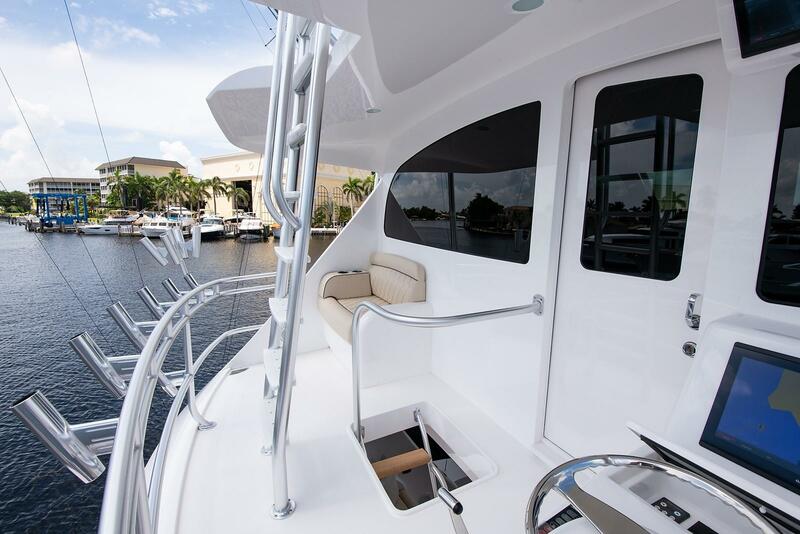 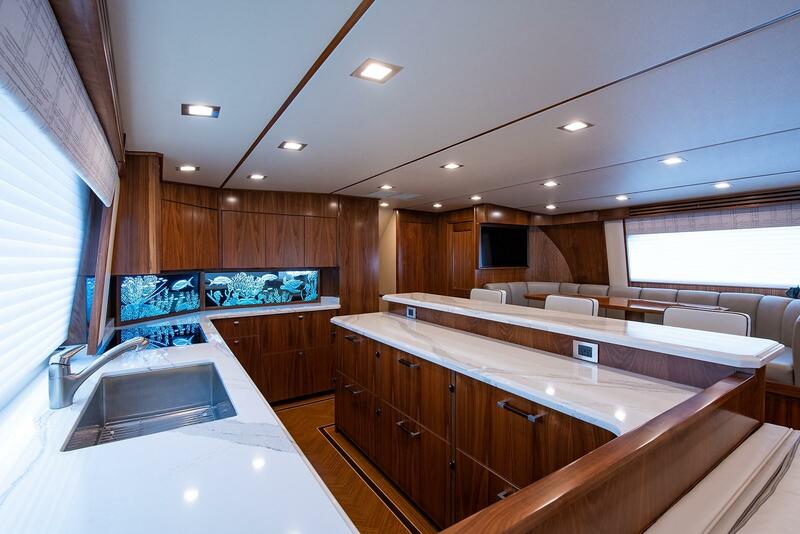 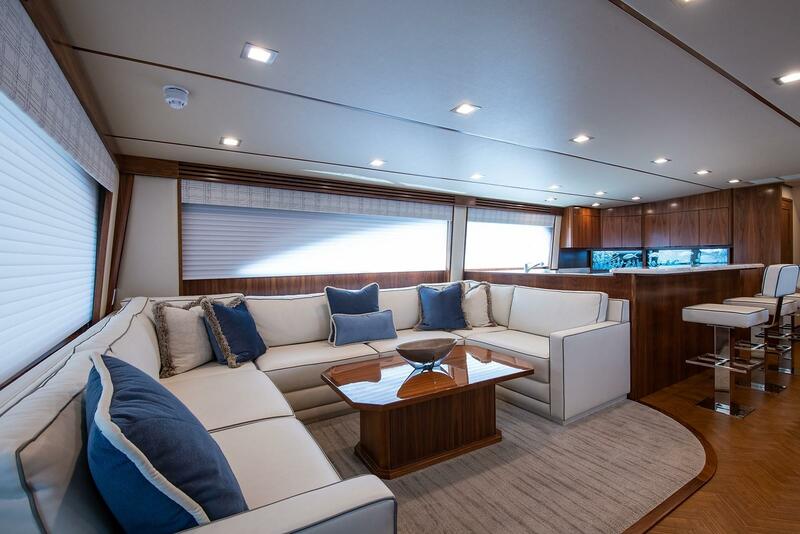 The salon features the fore and aft galley, bar, and dinette arrangement like that of the 92 Viking, which allows for generous bar seating and counter space, more formal dinette seating with larger capacity and open sophisticated yet modern feeling salon. 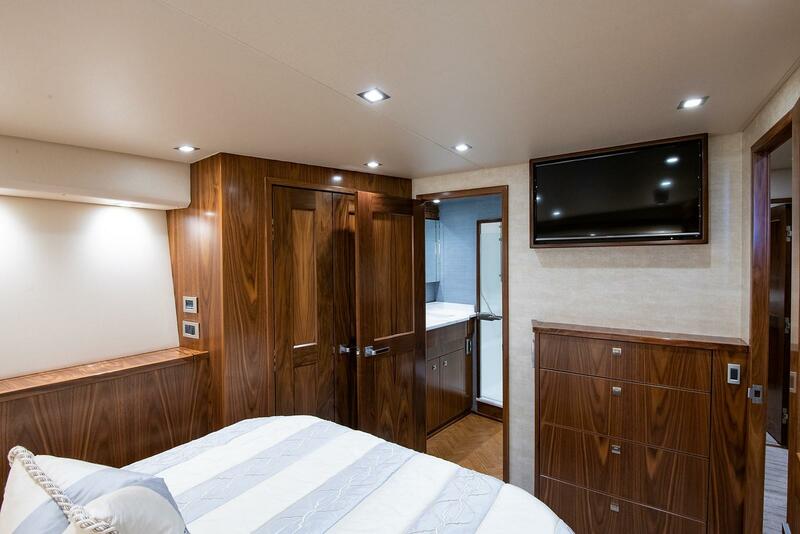 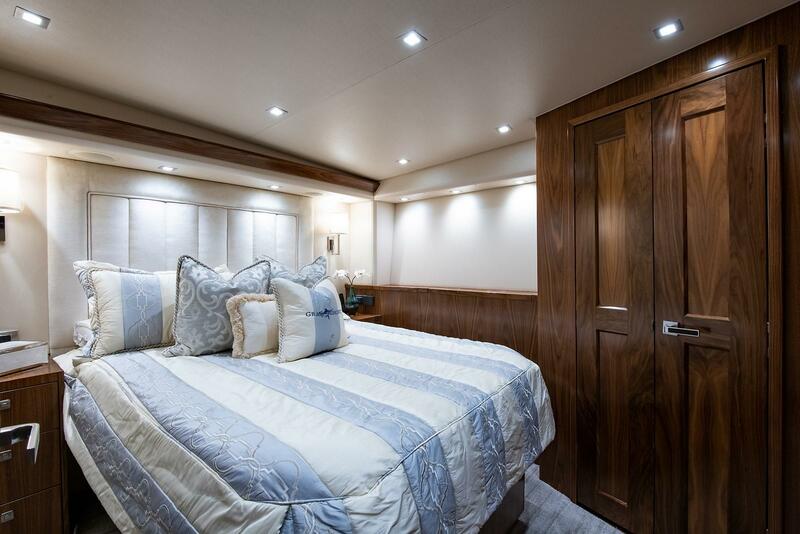 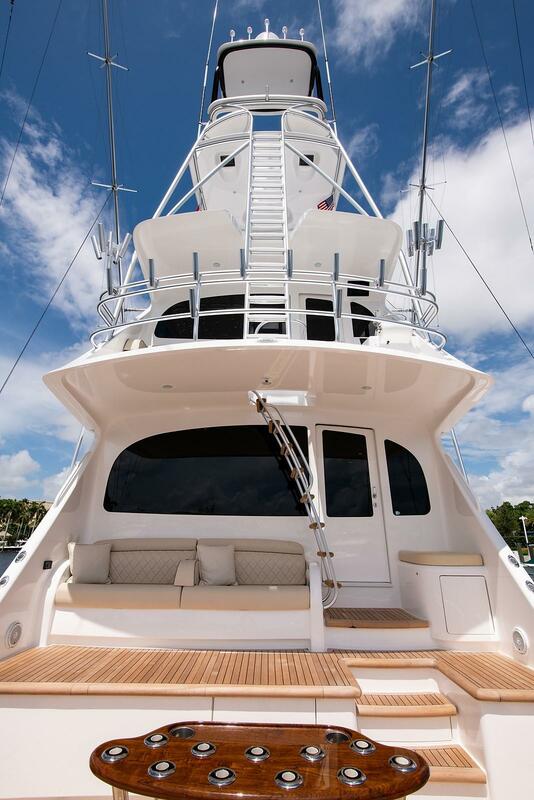 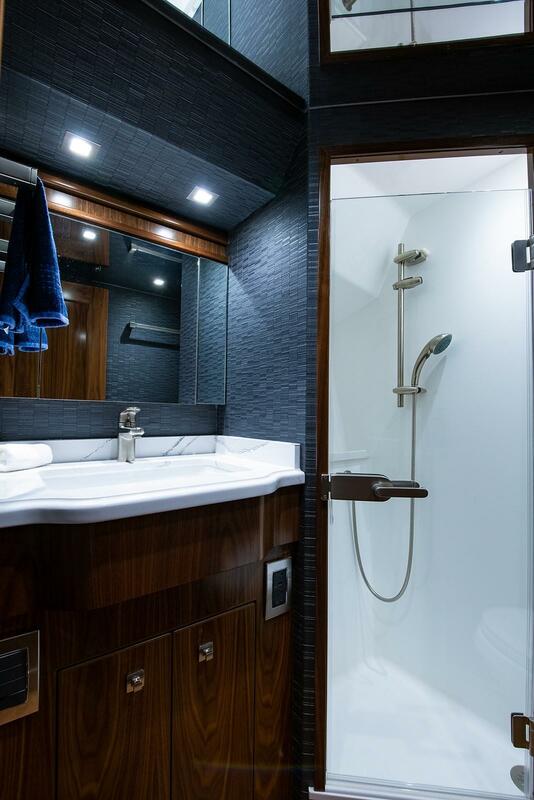 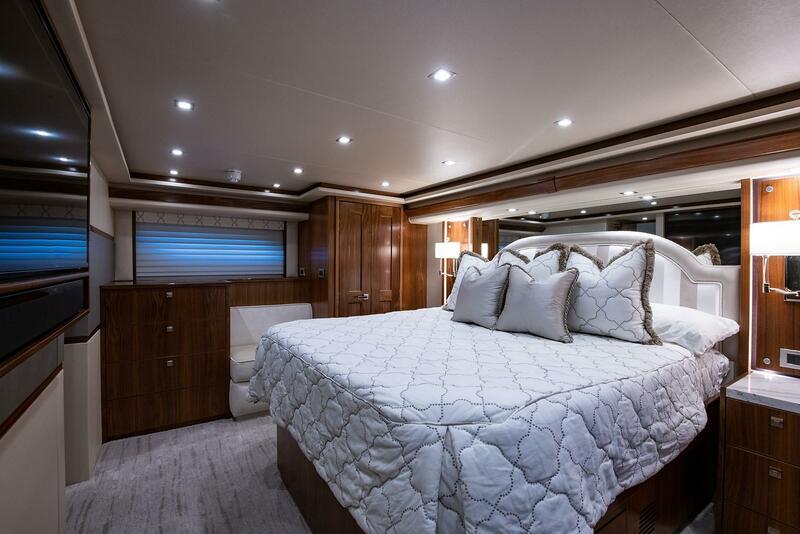 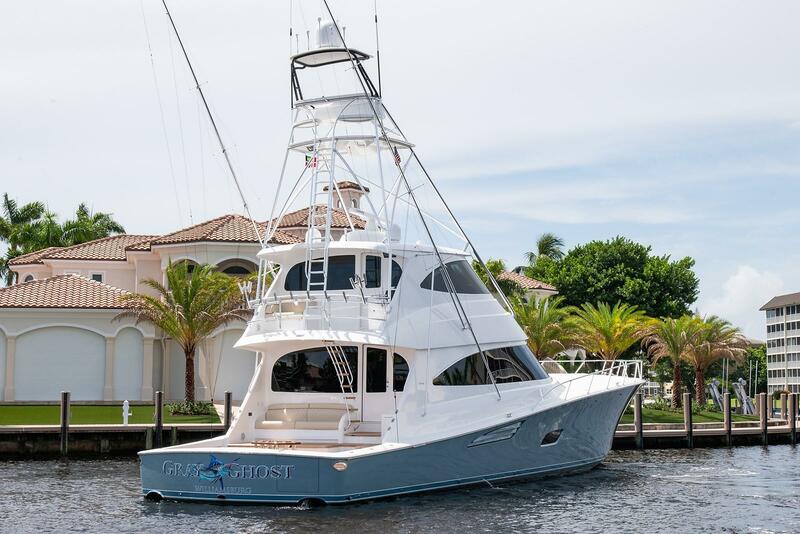 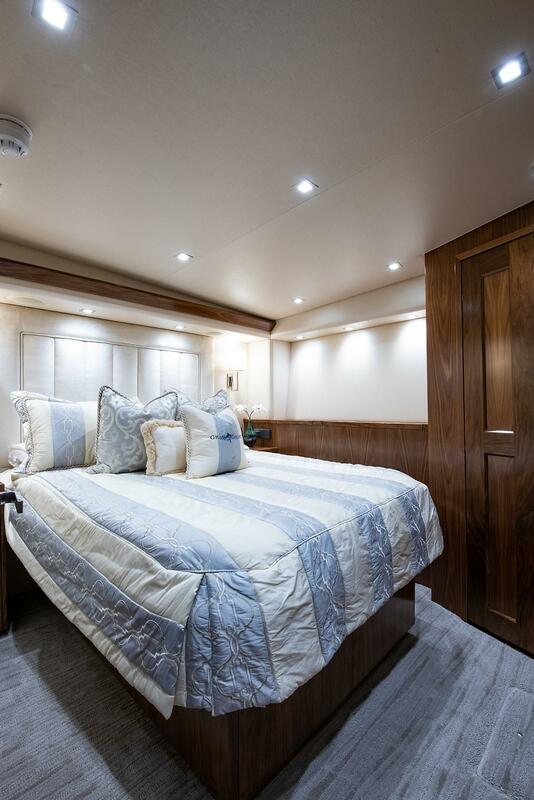 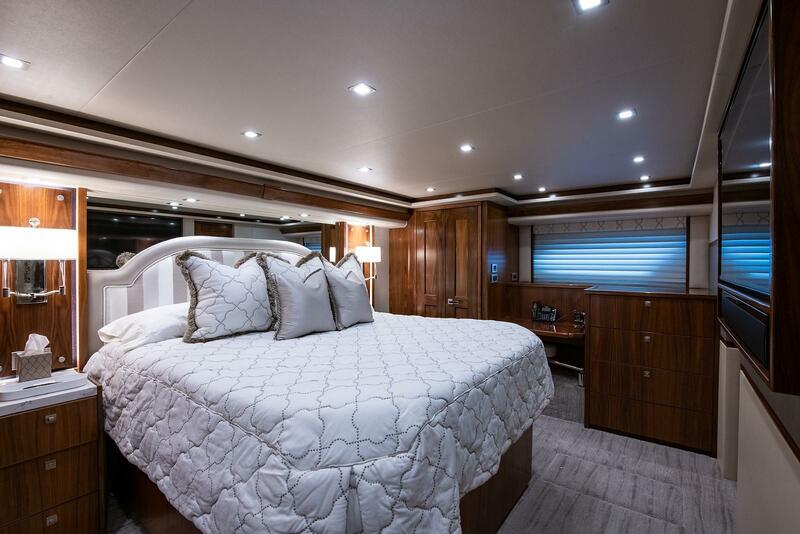 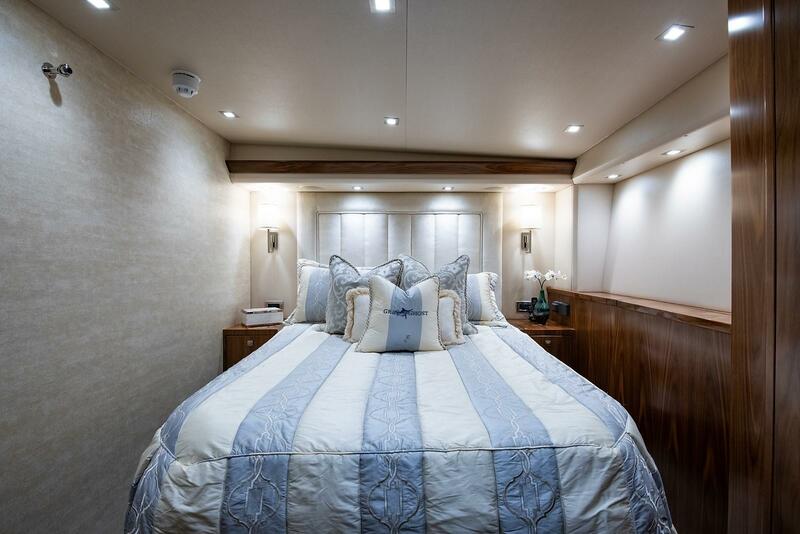 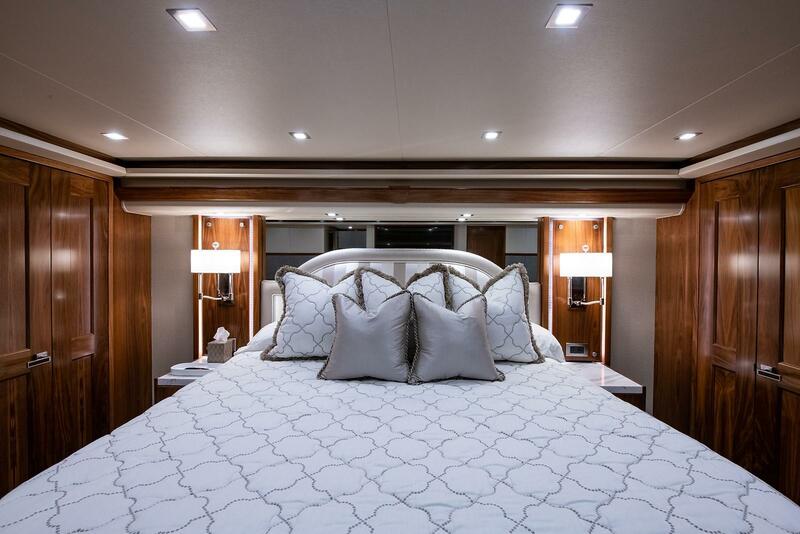 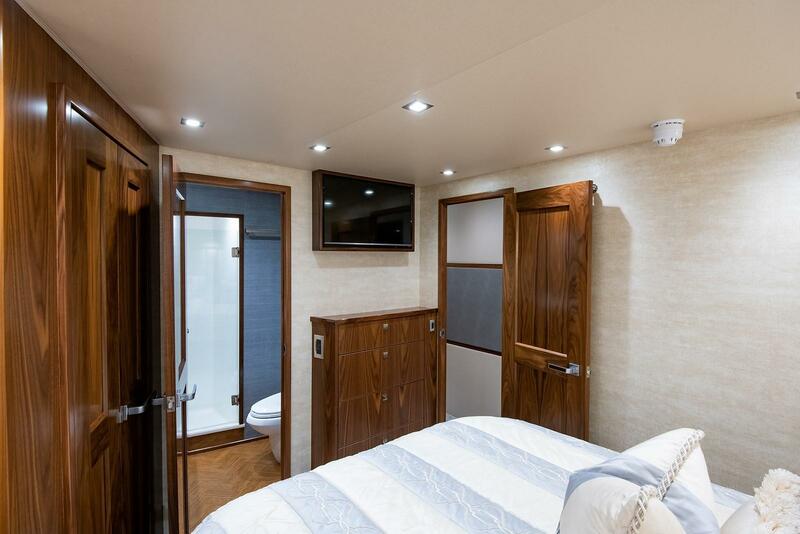 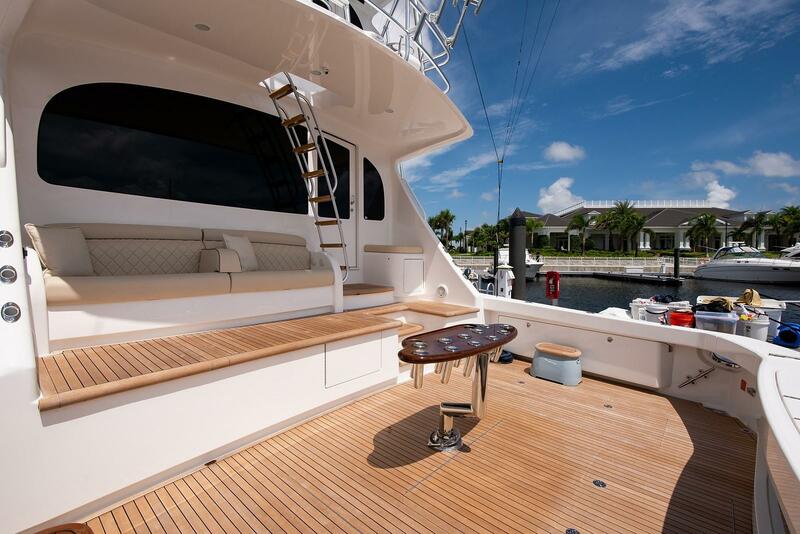 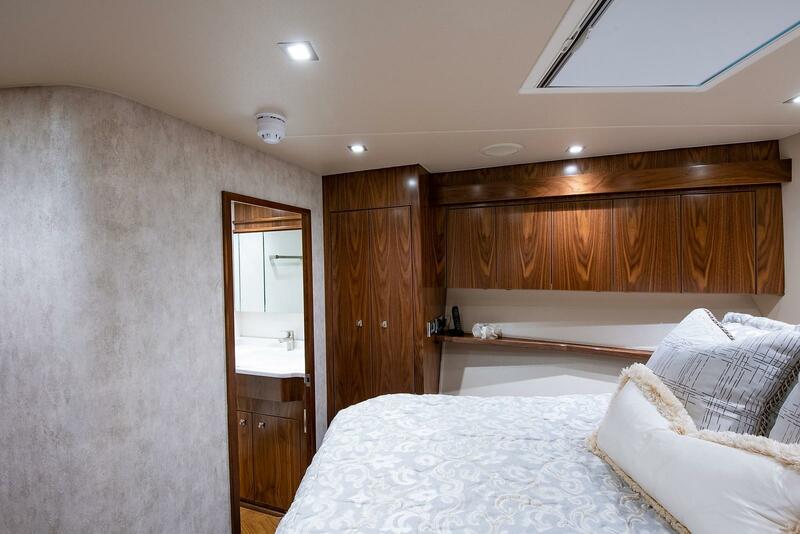 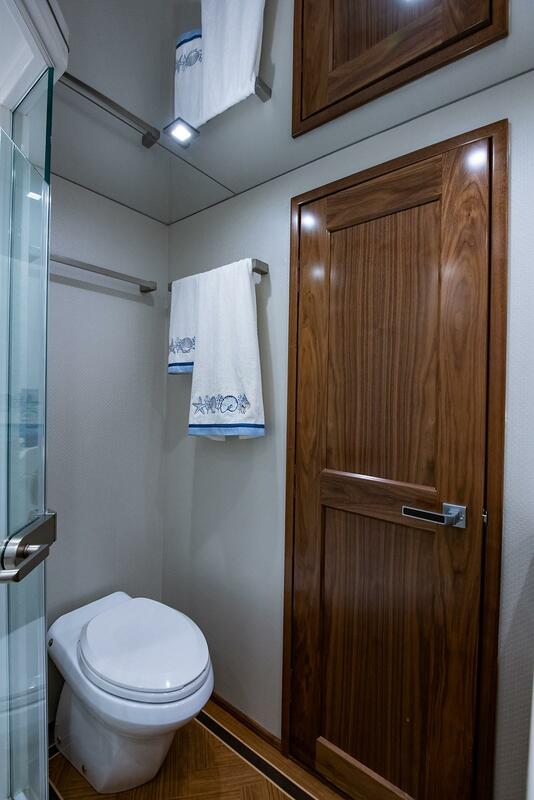 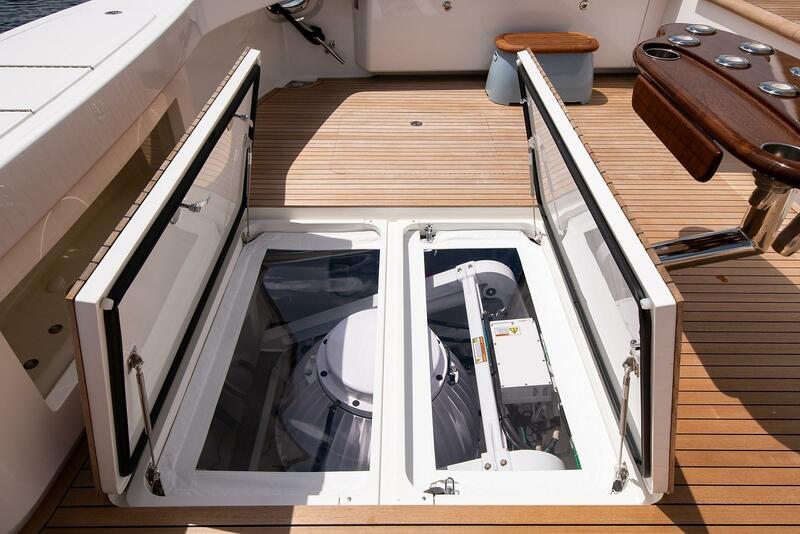 This 80 features five generous staterooms and five and a half heads, including a luxurious full beam master. 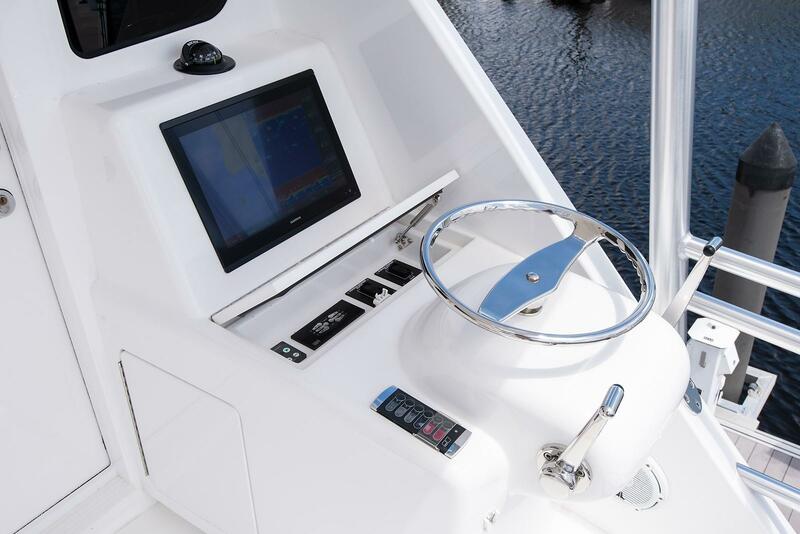 (3) Garmin 8622 MFD Displays 22"